India is a country having a hot and humid climate. In such weather conditions, it is not strange, if your body heats up. Have you ever thought how to keep your body cool in summer? If yes, you are in the right place. Having medicines to keep your body cool can have adverse affects on your body. But then what is an alternative? How to keep body cool in summer naturally? Well, Naturopathy is your answer! Yes, this will keep your body cool with all the natural elements of mother Earth. Now, I believe you all will be wondering what naturopathy is? Naturopathy is an art as well as science for a healthy living based on well founded philosophies. It has its own concept for heath and diseases. It has its own principles for treatment also. At the same time, it is a very old science also. You can find its references in the Vedas also. There are various naturopathy centers in the world that practice this service. 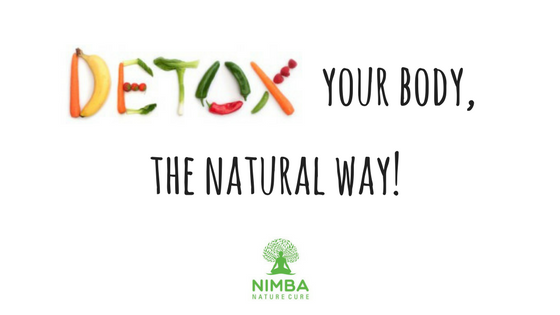 However, at Nimba we don’t just practice but preach the benefits of naturopathy. Let’s not waste much time and straight head to ways that will help you keep yourself cool and reduce body heat with Ayurveda. Haven’t you heard of the proverb, “You are what you Eat.” This is completely true. Food has a substantial impact on your daily lives. Hence eating what is right is extremely important. According to that, food that heat you up, that is, pepper, chillies, garlic, consumption of a huge amount of salts, etc aren’t one of them. Completely writing them of your diet is next to impossible but what one can do is to limit their consumption. We have discussed what not to eat. Now, it’s time to discuss what we should eat in order to keep our bodies cool in summer. Bitter, sweet, and astringent items should be in your go-to list. At the same time, you can increase the consumption of butter, milk, and ghee. Seasonal fruits never heat you up. Have lots of fruits, like pineapples, watermelon, cherries, melons and avocados are great. Mint and cucumber are excellent. You can even have juice for some fruits. Remember to consume lot of green and leafy veggies. This might be a stunner for all of you. But that’s right. We all know how bad cold drinks like coca cola and Pepsi are for you. Limit their consumption to nil. They won’t help you in any way. Now ice is something which has no nutritional value. I repeat they have zero nutritional value. Instead, it will cause you problems instead. 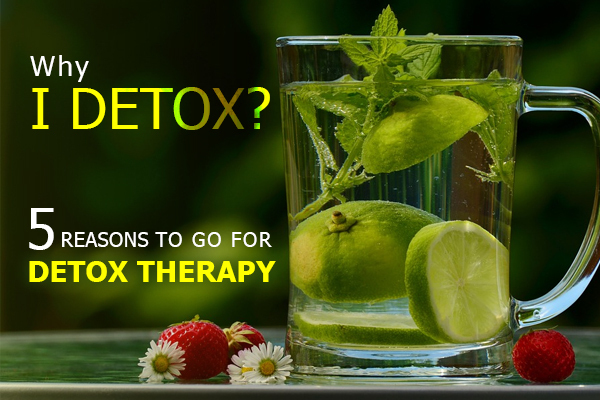 There are special therapies designed for your body to reduce the heart with Ayurveda like Hydrotherapy, Spine/Foot Bath, Ion Detox, and similar other. Each of them have their own set of benefits and undoubtedly cools down your body with no major effort. 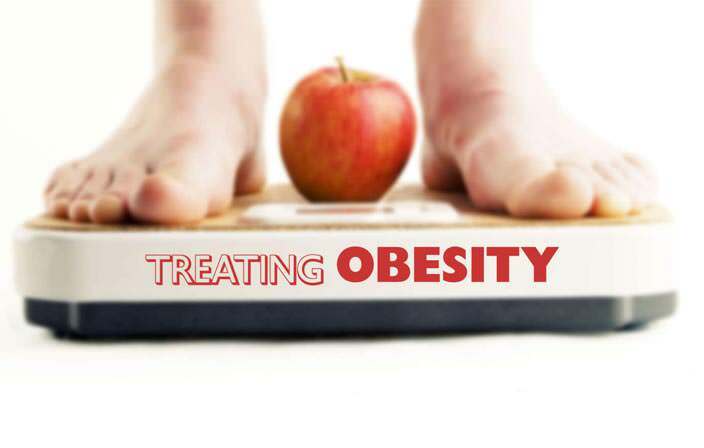 At Nimba, we have created all these therapies available at your call and in accordance with your budget. Working out has numerous benefits. Summers don’t mean that you stop working out because of the heat. Be regular with your work out and the see the changes you want to see. Going to the gym is not the only way to workout. Go for jogs, walks, or even cycling for the matter of the fact. In summers you can even go for swimming to keep up with your health. At Nimba, we provide various plans that include the right mix of yoga, exercise, therapies and everything else. The thing about meditation is you become more and more you. Naturopathy specialists believe that different parts of the human body are interconnected. So eating right is not enough. You should accompany it some light meditation. There are different forms of meditating. Decide yours and follow it to reduce body heat with Ayurveda. For knowing more tips we should know about Ayurveda first. Ayurveda is a 5000 year old traditional hindu treatment that uses a combination of diet, herbal treatment, and yogic breathing to treat illness. This one might not come as a surprise. Consumption of hot drinks and beverages invite an upset pitta dosha. So in order to stay cool ayurvedically, one should consume beverages in room temperature only. Playing is important. No matter what your age is, you shoul take out some time out of work and relax a bit. Playing has multiple benefits. It won’t only keep you physically moving but at the same time reduce the intensity of your work. This way you are balancing high intensity of heat with reducing the intensity at work. Praying does not always mean asking God for anything and everything. At the same time it is a very good exercise for keeping your mind calm. Regularly pray and manifest to keep your mind healthy. This is very important. In our regular daily life routines we always miss out on the aspect of enjoyment. Enjoying helps you to rejuvenate yourself. There is no point in stressing yourself out. Always add elements you enjoy and if you are not enjoying, then simply stop and think about it for a moment. All this is fine. One basic principle is to take care of yourself. 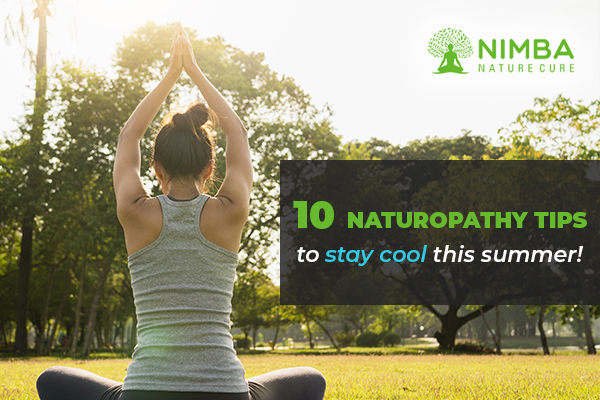 Remember that and follow these tips to you will definitely find your answer to ‘How to keep body cool in summer naturally?’ And if you need expert advice, talk to us at Nimba Naturopathy center and we would be elated to help you!